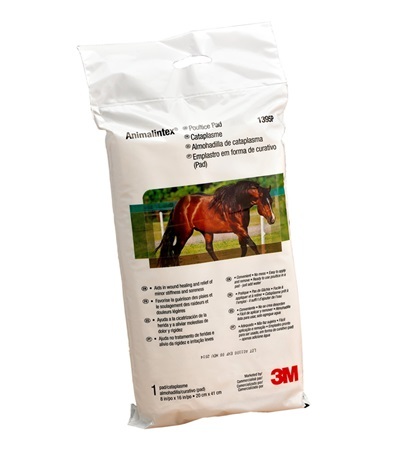 3M Animalintex Poultice Pad - Jacks Inc.
Made of 100% cotton with non-woven cover which has low adherence to wounds. Pad contains a natural poultice agent and boric acid which is a mild antiseptic. May be used as a hot poultice for abscesses, boils, infected/dirty wounds, cracked heels, thorns, laminitis, seedy toe and corns or as a cold poultice for strains, sprains, sore shins, splints, bruises, chapped hocks and elbows. 8" x 16" sheet.